NZXT has been on a bit of a streak lately. Each new iteration of their Phantom chassis has proven to be stellar (or at least extremely solid), and the H630 silent enclosure was a fresh take on a stagnant concept. At the same time, the under $99 segment was still being served with one of their worst enclosures, the H2. A late and unmentioned tweak did help the H2 make up for its lackluster appearance by increasing ventilation around the front of the enclosure enough that the intakes weren't starved for air, and it's remained a favorite for system integrators. Now we have a compliment to the H2 in the form of the H230. The H230 comes in at just $69, making it one of the most affordable silent enclosures we've ever tested, and at least in terms of build quality and features, you definitely get a good value for your money. It's when performance enters the mix that the H230 falls apart. But first, the build quality and aesthetic. The H230 is, as you can see, extremely shiny. The side panels have been painted with a reflective black paint, and the front plastic door has a mirror finish to boot. As a whole the aesthetic is very simple, but ventilation is restricted to a set of openings on the left side as the door opens to the right. Open the front door and there's a single 120mm intake fan at the bottom. The side panels are both held into place with thumbscrews and notched as is unfortunately traditional of this market segment. Both side panels have sound dampening foam affixed to them. Remove the panels and you'll find a pretty run of the mill ATX case interior. Each drive cage holds three drive sleds; the bottom one is permanently affixed, but the middle one is removable. The sleds actually exit behind the motherboard tray and they're unfortunately pretty flimsy and not held into place especially securely. Evaluating a $69 case, you have to learn how to make do with what's there. Evaluating a case designed for silent operation, you have to modulate your expectations accordingly. NZXT is still, at least in terms of features, making a fairly strong value play, but there are only two 120mm fans here and you can bet they're tuned for silence instead of performance. 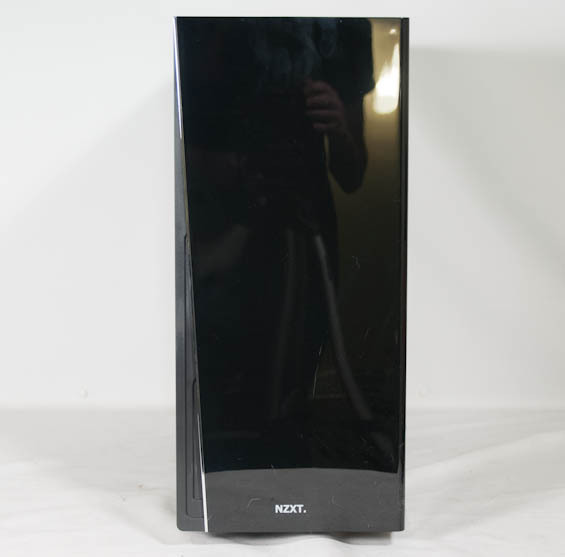 Dimensions 17.6" x 19.8" x 7.7"
NZXT's website even describes the H230 as "the perfect silent chassis for users looking for the bare essentials," and for the most part that's accurate. This is a no-frills silent case, with very little in the way of expandability. However, remember that "silent" design can't make up for mediocre airflow; two low-powered 120mm fans can be easily overwhelmed. I thought about buying one of these a few days ago but since the only 2 reviews out there for the case are not very flattering, I figured I'd wait for someone more worth their salt to review it. AT delivers as usual; thanks for the review Dustin. 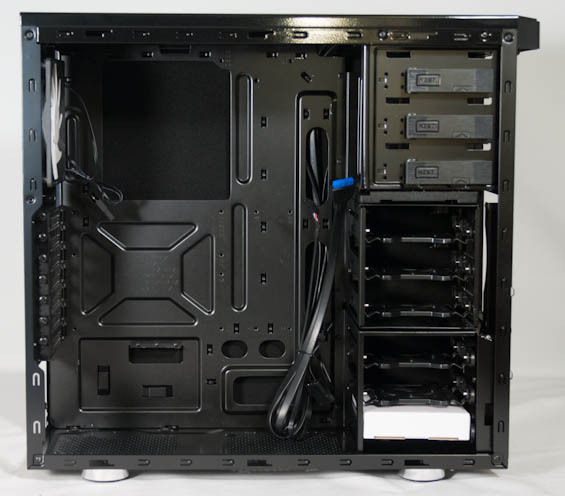 This looks like a silent case built for computers that don't make a lot of noise to begin with....the onboard video, 1 HD, ≤ 430W PSU systems. * Fans: fan control, undervolt, or change to better quality or quieter models (eg. for the PSU). "the perfect silent chassis for users looking for the bare essentials"
Maybe 20 years ago a huge case was required for the bare essentials, but not anymore. 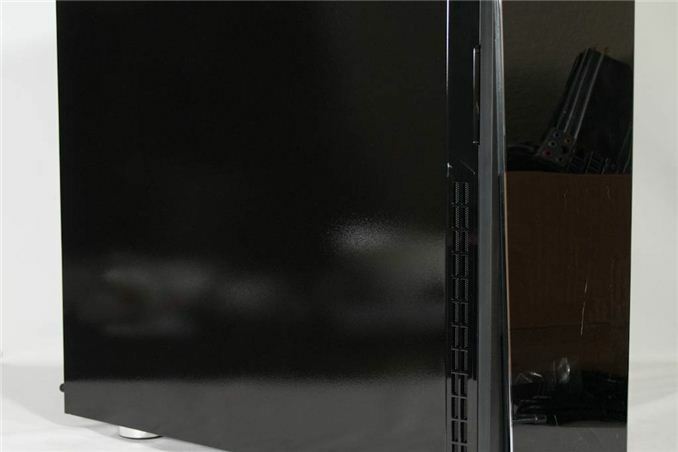 With better CPUs that require lower power, with 4tb hard drives that negate the need for multiple hard drives, and with higher power integrated graphics that eliminate the need for GPUs, the bare essentials in 2013 are more like a small mini ITX box than gigantic case the size of microwave. For the average home user yes. Even an ITX board would do. Thing is that the average home user buys a PC or these days a notebook or even a tablet. 1. Integrated graphics are not good enough for high end CAD, gaming, or video editing. 2. Multiple monitors are becoming the norm for developers and large high resolution monitors are becoming cheap. 3. People do still roll their own NAS boxes so lots of drives is a plus for them. Bare essentials vary by use case. Zotac H87-ITX... besides the other stuff you need we find.. "internal connectors: .. serial COM port header". I completely agree. I've noticed a lot more "mini" GPUs coming out lately as well which will make it even easier to build mITX systems. I guess everyone is getting the picture that small cases are the future except the case manufactures.